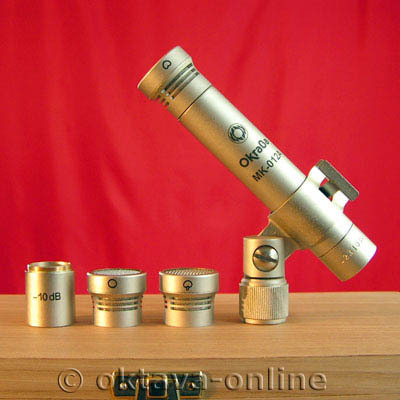 The Oktava MK-102 is a small diaphragm condenser microphone with an interchangeable set of heads used for changing polar patterns. I have used it only in the recording studio, but I could see it being used for a recording a live show as well, as they work very well as overheads. The MK-102s come with a clip that is sturdy and will home up the microphone well. The only problem with these mics is that the newest Oktava models are worse than the microphones they made a few years ago. I've been using the Oktava MK-102 small diaphragm condenser mics for about two or three years and have found them to be great mics that are useful in a number of different settings. The multiple polar pattern choices make it a versatile mic that can be used in a few different practical recording settings. I have used this microphone mostly on acoustic guitars, drum overheads and for getting just a general room sound. Since they are small diaphragm mics, they are great at picking up the high end of a sound and therefore are great for these instruments. It also works great on mandolin, banjo, and other acoustic stringed instruments. One of the best things about these microphones is how inexpensive they are. While they aren't the cheapest mics of this kind, they are cheap considering how great they sound and their overall versatility. I would compare these microphones to the Rode NT-5s as they are similar in price range. I believe that both mics are a good choice and I would recommend comparing them on your own if you are able to. While these can't match the brilliance of the Neumann KM184s, they are great sounding mics at the fraction of the cost. 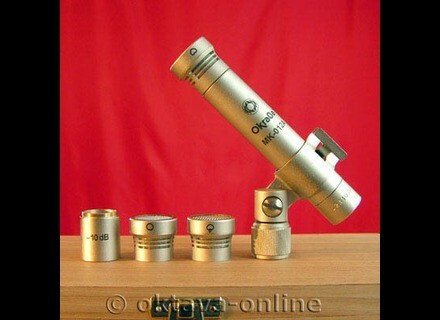 Oktava makes some great, inexpensive mics that are both useful to the home studio owner and professional studio owner. These are definitely worth a look!